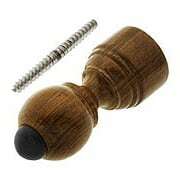 A must have for collectors of Aesthetic iron hardware, our reproduction Victorian Slide Bolt is as beautiful as it is practical. 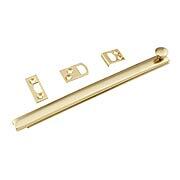 Designed for horizontal mounting, it is a simple way to add privacy to any room. 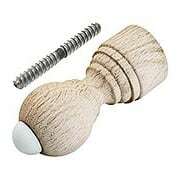 Hardwood door stops were popular in the Victorian era. 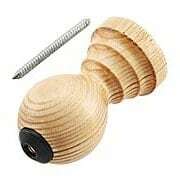 Turned from solid, red oak, this shapely reproduction can be stained, varnished or painted to match your baseboard. 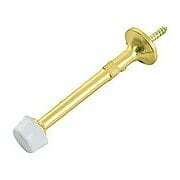 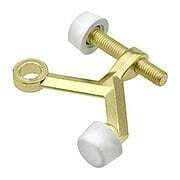 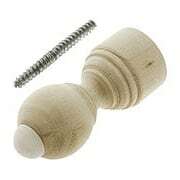 Easily installed with the included lag screw. 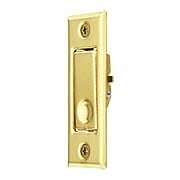 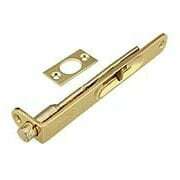 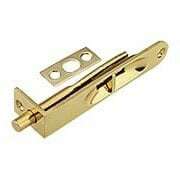 Our 1 3/4-Inch Mortise Privacy Bolt provides added privacy or security for a variety of applications. 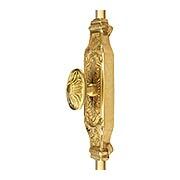 Made of solid brass and classically styled with a pressed oval escutcheon and cast knob, it is easy to install and operate. 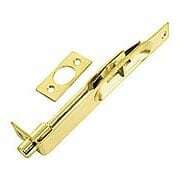 Ideal for light doors, screen doors or cabinets, choose from a host of popular finishes. 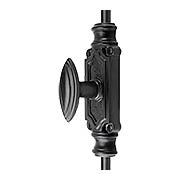 We don't often think of a doorstop as a major design element, but our lovely Rococo Floor-Mount model is an exception to the rule! 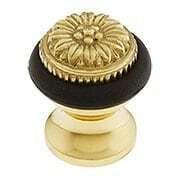 The cap is embossed with an 18th-century French influenced design, so elegant and attractive you'll hate to hide it behind your door. 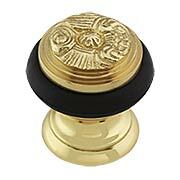 Made of solid brass, with a durable black bumper and your choice of an array of classic finish options. 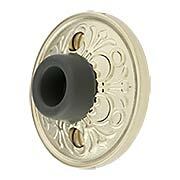 The Wall-Mount Door Stop with Lancaster Rosette and Rubber Bumper is based on an 1880's Yale & Towne design. 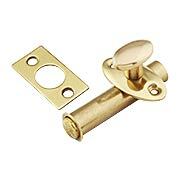 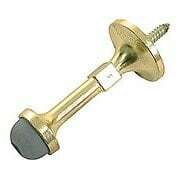 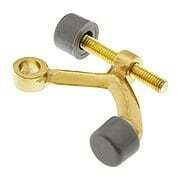 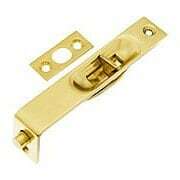 Made from solid forged brass, it comes in a host of popular finish options. 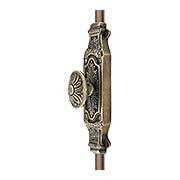 A must for any Victorian home!